This is probably simplest entry point based EA. During lot of testing of Forex EA Robots, this Candlesticks Trading EA has proved that this system is actually very powerful, because it does not use any indicators to enter the market, so there is no latency at all. 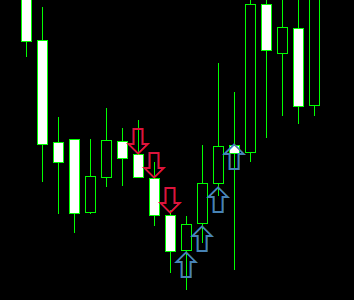 It gets the latest market direction information by looking at the last currency pair candle. If the last one was down – the position will be sell, if up – buy. And so on, until the target is reached! It may look to easy and simple, but together with our special money management improvements it gives a nice and stable profit. Please use same set .file as included to get same results, and don’t forget to test it on demo before trying it on live. Happy trading!